You know Spring has sprung when fresh asparagus pops up in abundance. 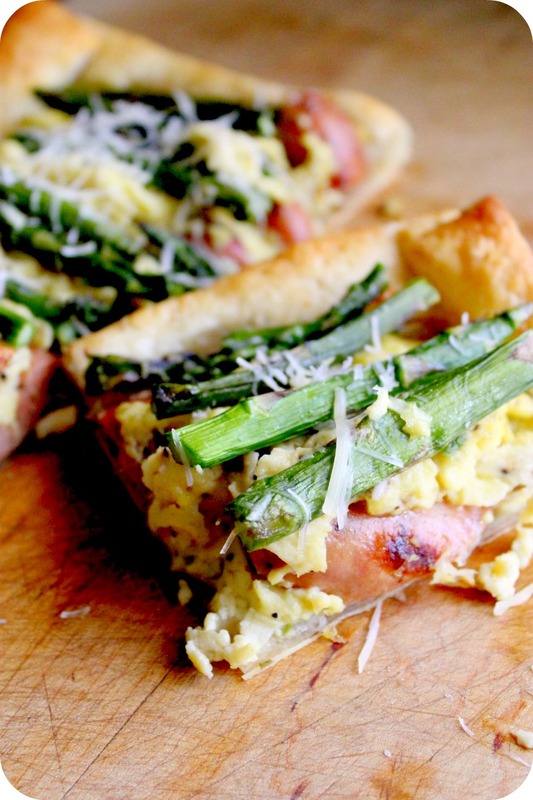 I grabbed a handful this week and made this easy tart for lunch. If you like quiche, you’ll love this. It starts with these beauties. I love this vibrant green color. Alton Brown (Food Network) says the best way to cook asparagus and preserve its flavor and bright green color is to microwave it. Start by cutting off the tough stem ends, then grab a strip of 4 paper towels (still connected). Wet them and squeeze out most of the water. Un-wad the paper towels until you have a strip two towels long and two towels thick. 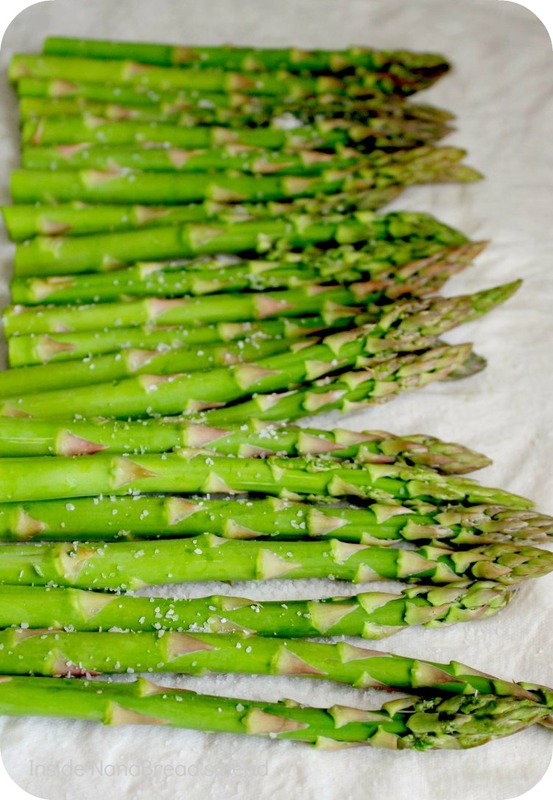 Spread the asparagus on the damp towels in a single layer and sprinkle with kosher salt. Roll the asparagus up in the paper towels and microwave on high for 3 minutes. Done! Next up are these gorgeous organic chicken, asparagus and parmesan smoked sausages from my local HEB market. I simply seared them in a hot skillet until lightly browned on both sides, then sliced them in half lengthwise. 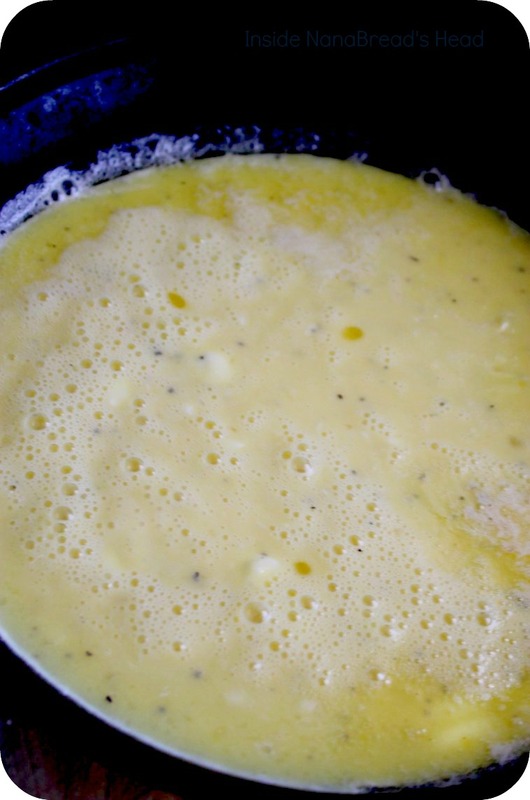 Soft scrambled eggs are cooked in the same skillet until almost but not quite set. These are just getting started. A box of frozen puff pastry makes quick work of the tart shell. To save time, thaw the puff pastry while you’re steaming the asparagus and browning the sausages. 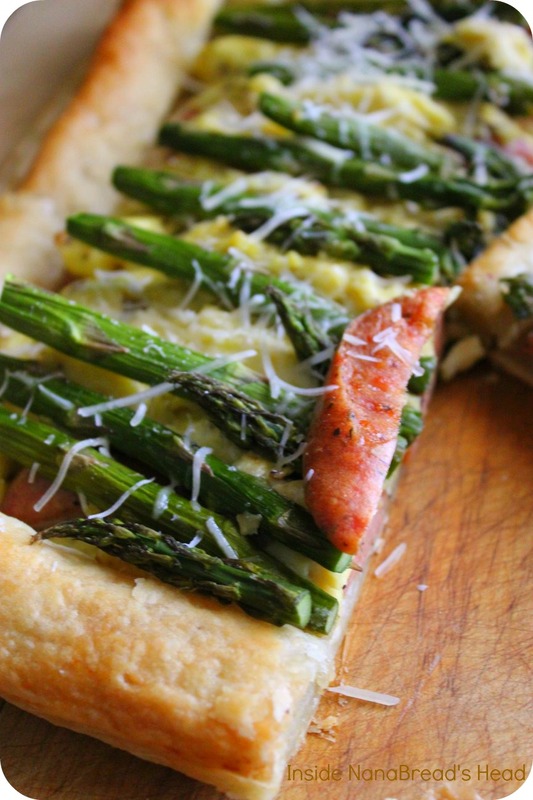 I promise – this tart could not be easier and topped with shredded parmesan cheese, it could not be more delicious. Pre-heat the oven to 425F; remove the puff pastry from the box and let it thaw. On a lined baking sheet, lay out one full sheet of puff pastry. Cut the remaining sheet into 3/4″ strips, and lay them around the outside edge of the bottom sheet to create a frame. Brush the edges with melted butter, then layer on your ingredients starting with the Swiss cheese, then the cut up sausages, the scrambled eggs, then the steamed asparagus. Bake at 425F for 20-30 minutes (depending on your oven), or until the puff pastry is a light golden brown. Allow the tart to cool for a few minutes before slicing. To serve, top with a sprinkle of parmesan cheese. This tart makes four large servings (main course) or nine small servings (appetizer). It’s perfect for any time of day. We had it for lunch, but it would also be lovely for brunch with fruit or dinner with a side salad. No one needs to know how simple it was, except for us. And I’ll never tell. 1. 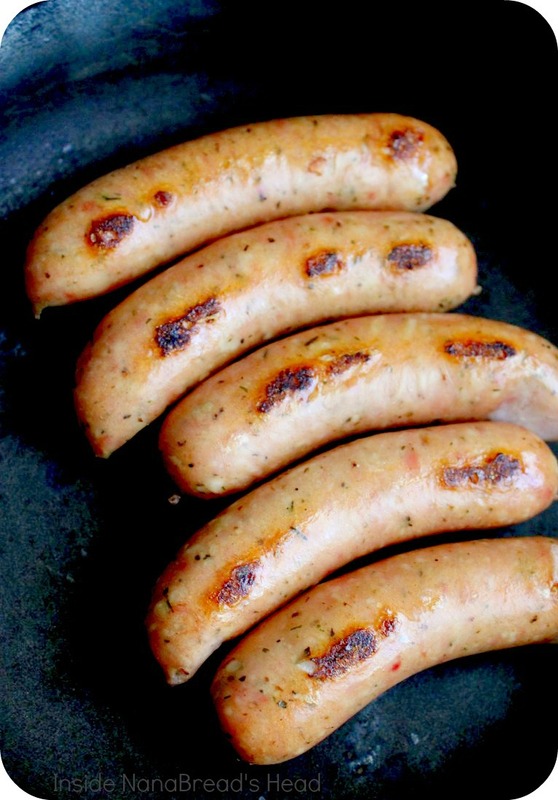 This can be made meat-free by omitting the sausages. 2. It would also be lovely with a rotisserie chicken instead of sausage. 3. To reduce the amount of butter, try spraying the skillet with Pam instead. 4. To further reduce fat, swap 2 Tbsp. fat-free Greek yogurt for the cream. 5. The sausages & asparagus can be cooked in advance to save time. 6. To tart up your tart, try adding a small pinch of nutmeg or cayenne pepper to your scrambled eggs. 7. Leftovers should be refrigerated and eaten within 2-3 days.